Dylan Roberts is the city’s Chief Information Officer, in which role he is accountable for delivery of place based outcomes for and across multiple organisations including seven health and care organisations, Leeds City Council, Leeds schools, and three NHS CCGs. As such he is Senior Responsible Officer (SRO) for the Digital Health and Wellbeing Programme for the whole of Leeds, SRO for the 100% Digital Smart Cities Programme as well as providing overall leadership for Leeds City Council’s change programmes. Additionally he is accountable for Digital and Information strategy, governance, innovation, policy and assurance for LCC and NHS CCGs. In this podcast, the first of a series, Dylan describes how this wide-ranging role, that includes responsibility for NHS and local authority IT/digital programmes, came about. In future podcasts we will look at how willingness to focus on user needs, and collaborate and share across organisational and professional boundaries, is a key element of Leeds’ place-based approach to building a successful and inclusive future city. An Audience with CLGdotTV takes place four times a year. We invite a studio audience of around 50 to share a day making CLGdotTV programmes. We make six programmes in one day. No.3 will feature six expert-led discussions/debates reviewing developments in the provision of health and social care. A seat ion one of the panels or in the audience is by invitation. Guests can come for an hour and join in making a single programme or come for the day and star in the lot. 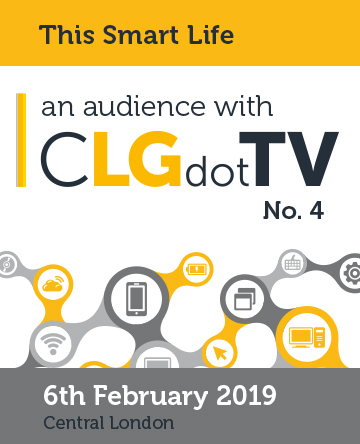 The programmes will be available on-demand and free to view from our CLGdotTV platforms and may also be linked to from sponsors websites. For audience seats and sponsorship opportunities please contact Ben Webber b.webber@boilerhouse.co.uk .